 Glasgow’s Golden Generation is Glasgow’s leading charity for the elderly. When the charity was established in 1948 as Glasgow Old People’s Welfare Association, it was recognised that there was a need to tackle loneliness which impacted the lives of many older adults. Some years later, this remains central to the charity’s work. GGG offers a wide variety of support services to Glasgow’s older population. The charity runs three Day Care Centres, which focus on reducing social isolation through communal meals and activities each day of the week. Our Befriending Service supports over one hundred Clubs throughout Glasgow, providing a chance for the elderly to meet up regularly with peers. We also send out Befriending Volunteers who visit older adults in their homes, aiming to keep their clients more active and involved in their communities. Finally, we offer professional benefits advice; our skilled team of Welfare officers can guide you through the complicated benefits system, and help you apply for a range of benefits and entitlements. The charity is only able to continue its work in communities of Glasgow thanks to the generosity of its supporters. There are many ways of supporting Glasgow’s Golden Generation: through the giving of donations, fundraising events, runs and challenges. We also run a charity shop in Glasgow’s West End, which offers a friendly retail experience, a free collection service and house clearances. All of our vacancies are posted online.